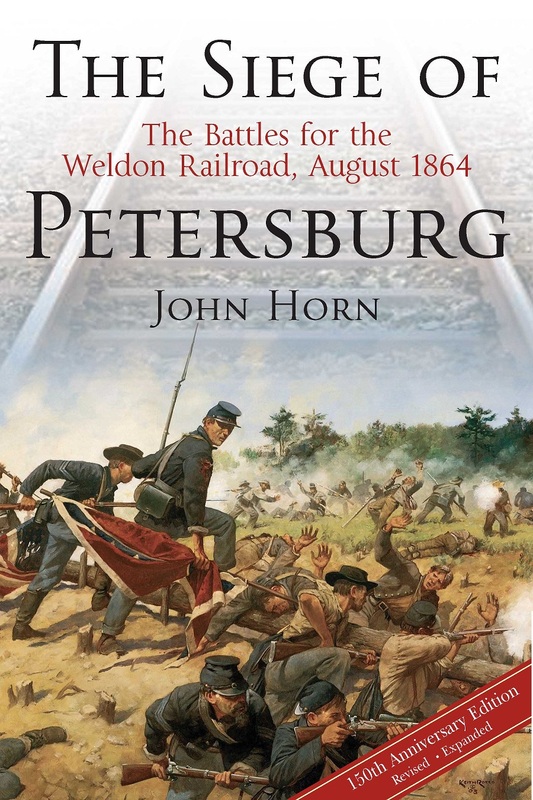 Author John Horn kindly informed me via email that a review of his new book The Siege of Petersburg: The Battles for the Weldon Railroad had been posted at Gettysburg Chronicle. The reviewer gave the book high marks. Be sure to check it out, and also take a look at my recent interview with Mr. Horn. I hope to have my own review of the book up in the coming weeks. It covers Grant’s Fourth Offensive against Petersburg and Richmond, including the Second Battle of Deep Bottom, the Battle of Globe Tavern, and the Second Battle of Reams Station. In this revised and expanded second edition, Horn provides greater coverage of the Second Deep Bottom operation north of the James River.